It has been about forty years or so but I do recall warm summer time temperatures resulted in climb rates around 300 feet per minute due to the need to use higher airspeed in the climb. Climbing at an airspeed of less than 130 would result in oil and CHT temps pushing red line limits when fully loaded and at climb power setting. Sounds like it needs a bit more tweaking but when around the max takeoff weight the actual airplane performance is not exactly inspiring on a hot day. I've managed to climb above 10000ft twice in succession but I also have found that reducing power to 36" results in a descent , 45" works fine and a steady speed of 103 kts is obtained but vs is about 300 ft/min. I've achieved this thanks to mike hart's post as before that I could climb to 2000ft before an unstoppable descent began. Also the long runway at Edwards AB helped especially with the absence of trees and buildings, didn't need flap for take off. Yes, in order to get some climb speed had to raise the MP from 36 to 46, which is 10 inches above the recommended for climb power. That's a great video, Finksther. By about 6:58 you seem to be getting some sort of climb rate which, given the airspeed, prop and MP values, indicates all is not lost. It was a struggle to get there, though. Looking forward to AH and JF's review of things. Just did a video to demonstrate a test based in what the real pilot in Mike Hart comment said. i did the takeoff and tried the power reductions and rpm settings as suggested and the results where not even close to that. with 36" and 2300 RPM can't climb, started loosing altitude, any climb attemp would cause stall. in order to achieve the desired climb at 105 kts and at least 400 fpm had to use 46" MP with the 2300 RPM. Had a gross weight of 18,783 kilograms and the air temperature was 25C. Thanks for the info, Martyn. This C-46 is well worth polishing up. The performance issue is being investigated by the support team and developers. We'll have more news soon. One last comment about the C-46 what would have really made this aeroplane shine was four engines not two, it never got that far, it wold have been a very different beast with 4. A bit like the Avro Manchester which had 2 engines, which was a dog, they put 4 RR Merlins on it and hey presto, it became the Lancaster and a legend with performance to boot. "There were never any certified V-speeds on normal C-46s. No "blue line," no Vmc, V1, V2, Vx, Vy, etc. Many chief pilots couldn't live with this, so they conducted their own rough testing, and picked some speeds that worked well enough, and with which they could browbeat trainees and checkees. But anyone who uses them is kidding himself, and possibly developing a dangerous thought process. Having published "V-speeds" also means that a "V1 cut" is required on check rides, and I've had quite enough excitement in airplanes, thank you very much, we don't do those, anymore. Without published V-speeds, the FAA does not allow even the simulated failure of an engine in flight below 500 feet on a check ride. 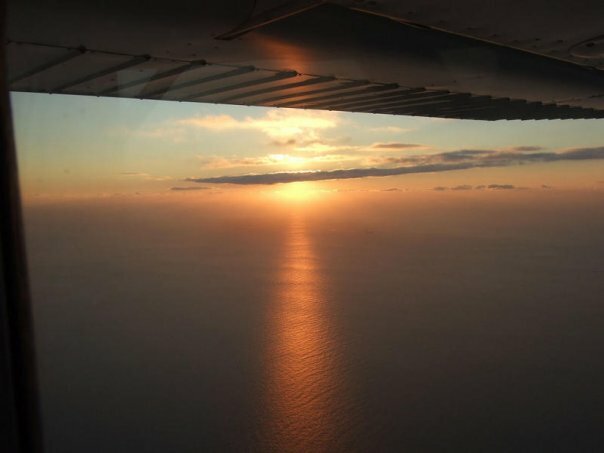 The old manuals usually call for a "minimum safe single engine speed," and it's generally around 95 knots, or "close enough," and that's what we use. Under CAF and FAA rules, we use full rated power (2,000 HP, 52", 2700 RPM) on ALL takeoffs, regardless of weight, a very good idea in ALL piston-powered airplanes. With just a little help with forward elevator, the tail wants to come up around 40 knots or so, and with a little experience, we learn and hold a fixed attitude, slightly tail-low. Somewhere around 80 knots the airplane obviously wants to fly, and we let it do so, holding the attitude at which it lifts off. The moment the airplane is off, that 80 knots instantly becomes 88 knots, as there is a built-in error in the pitot system when in ground effect. Still maintaining the liftoff attitude, we allow a gentle climb and a gentle airspeed increase, and we accelerate to 95 knots. With that, and only when positive there will not be ground contact, pull the gear. Pulling the gear is the signal to everyone in the cockpit that we will continue flying with an engine failure. Before that, we'll probably put it back down. We continue to hold that same liftoff attitude and accelerate to about 105 knots, then pitch up gently (VERY gently) to hold that speed. Jet pilots have a LOT of trouble with this concept, and invariably they will haul the airplane off the ground and "rotate" to a nose high attitude as they do on the job. That is DISASTER in any old prop airplane, for the performance is simply not there. As the gear comes up and the situation stabilizes at around 105 knots, we usually call for the first power reduction, to "METO" (Maximum Except Take Off) power, or 44" and 2550. When heavy, we'll delay that a few more seconds, to help gain altitude to protect from an engine failure. At about 300 feet when light, or 500 feet (or more) when heavy, a second power reduction is usually used, to 36" and 2300 RPM, or "Climb Power." 105 knots makes an excellent pattern speed during the climb, and in level flight. The airplane seems to like that speed, using about 25 inches of manifold pressure and 1800 RPM on downwind, level. Any faster speed tends to overrun other VFR traffic in the pattern, and slower than 105 knots brings on problems with an engine failure. Trainees will almost always lose 10 knots while they struggle with the airplane, and while 95 is fine, getting slower will cause control problems with one engine at high power, and one windmilling." I have emphasised a couple of very important handling issues here - the first is your aiming for 95 knots basically in level flight or about 2 -3 pitch up (not much is it) to get to about 105 knots before climbing, there is no use of flap and it all takes time the speed increases are actually very slow from 88 to 95 is only 7 knots to 105 is only another 10 knots all this time you need to be basically only slightly pitch up and then and only then will it begin to climb and very slowly, similarly with acceleration it is as the pilot politely described 'gentle'. So it is a matter of technique with this bird. For those interested the minimum field length to clear a 50ft obstacle (a tree or fence) is usually about 4500 -6000 ft, so if your trying to shoehorn it out of a tight spot or do not have that minimum amount of distance in front your going to collect something before you get going. Once its flying its fine you just can't chuck it about like a fighter or a light twin, smooth and gentle all the way and you will be rewarded. Push it hard and it is going to frustrate the hell out of you.